“We were poor. My dad was a Baptist preacher, but in addition to ministering, he always worked multiple jobs. He’d teach. He’d paint. He worked at a gas station. He was a Mr. Fixit. Worked at a sawmill for a while. Whatever he could find to help feed the family,” explained Dr. Craig Hamilton when I asked about his childhood. “People in the church would let us come to their fields and pick beans, corn, tomatoes, okra, and other vegetables. We also received government cheese and peanut butter for a time," he added. As I interviewed Dr. Hamilton at his favorite Arkadelphia barbecue joint, he sipped his soda. Then he said, “Many of the churches my Dad pastored were fifty miles or more away from home. Many were country churches.” Then he smiled his trademark half-grin and said, “At one of my father’s churches, they didn’t have indoor plumbing. I helped dig and build an outhouse for the church.” He chuckled. Craig is the oldest of the five Hamilton children - three girls and two boys. At 13 he started a lawn-mowing business and spent six days a week in the Florida summers mowing lawns to make extra money. By that time, he also started leading the music at church revivals with his father. He’d been singing all his life, and his study of music and constant exposure to the music in the church made this a natural calling for him. Dr. Hamilton’s father played cornet in the Salvation Army Band and still had his cornet; young Craig took up the instrument. (Dr. Hamilton’s music biography will be a future feature story on this website.) His father “wrote some scales and fingerings” out on a piece of paper for him. Craig studied it, and then began to learn on his own. By the time he was in sixth grade, he’d already taught himself most of the major scales and some tunes. By the age of 16 he was asked to join the local musicians’ union. He began playing gigs around town. The most interesting gig was playing with the O'Jays at a club in Pensacola, FL called Leo's Lounge. "The O'Jays had been booked to play, but needed another trumpet player. I got the call to do the gig, but was too young to drive – so, my mother (the preacher's wife) had to drop me off at the gig in our family's station wagon. I felt that every eye was on me, and they knew I didn't belong there. We played the first set, and at the break you would've thought I was the star – everyone was congratulating me and calling me 'my little trumpet man.' – It was a great experience! My mother did not share my excitement when she returned to pick me up at 2 a.m. after the gig." When Craig started high school band, his band director arranged for him to have his first private lessons. 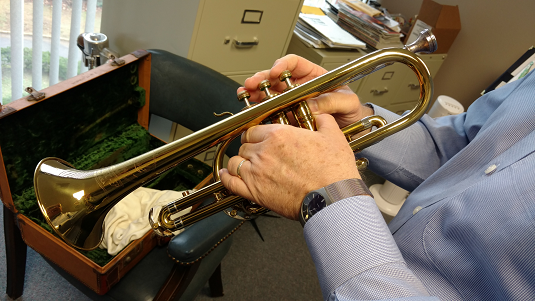 After a year of study, the director contacted Dr. Grier Williams, the trumpet professor at a university nearly an hour’s drive away. Dr. Williams saw something special in the boy. “By the time I’d driven the fifty minutes home, Dr. Williams had called my parents and said, ‘Craig can’t stop studying with me. I will teach him for free, and I will give him gas money.’” So the boy’s studies continued. "When I received my PhD, Dr. Williams was one of the first people I called to thank him for investing in me all those years ago." After his quintet won a first division later that day, another judge asked the students, “Did your band director put this group together?" The group all pointed at Craig. “I want to talk to you in the library at the end of the day,” the judge said. Craig found the two judges in the library that afternoon, both professors from the University of Southern Mississippi. Each had planned to offer Craig a scholarship, not knowing that the other had also tapped him. “Can I stack the scholarships?” Craig asked. No. He couldn’t. However, Craig was an excellent academic student, too, so he also earned academic scholarships. He actually completed the Bachelors, Masters, Education Specialist, and Doctor of Music Education degrees debt free. 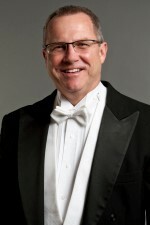 Now, as well as serving as Music Director and Principal Conductor of Hot Springs Concert Band, Dr. Craig Hamilton teaches at Ouachita Baptist University and serves as Instrumental Director at First Baptist Church in Arkadelphia. He also clinics high school bands and teaches private trumpet lessons. Craig Hamilton is all about music and teaching. 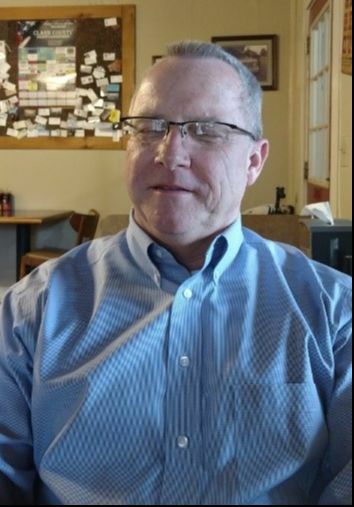 About paying back the musicians and teachers who helped the little preacher’s kid become Dr. Craig Hamilton, Lena Goodwin Trimble Professor of Music at Ouachita Baptist University.